Parga Town holidays take you to the north west coast of mainland Greece. Located seventy kilometres from Preveza Airport. It is an attractive town built around the harbour in a sheltered bay. 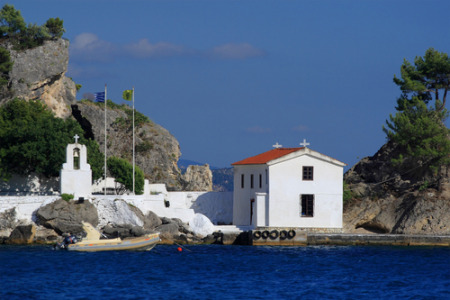 Holidays to Parga Town have wide appeal. The town itself has small beaches and visitors can take water taxis around the headland to the sandy beaches of Lichnos and Voltos. Holidays to Parga Town can be taken from April until October with temperatures rising from twenty to thirty at the height of the season. The old town has great charm with its narrow cobbled streets filled with delightful shops and small pavement cafes, and there are many tourist attractions. If you are looking for a holiday with a guarantee of summer sun in a resort with a traditional Greek atmosphere, you may be interested in our cheap Parga Town holidays. These are considered to be great value for money as our commitment to quality and service is never compromised. With good accommodation and superb restaurants our low cost Parga Town holidays are sure to please. For further details and to view our latest Parga Town holiday offers please use the search facility.